P&O Cruises | Frequently Asked Questions | Life On Board - What dining options are available on board? You are here: Home > Advice centre > Dining > What dining options are available on board? Q. What dining options are available on board? Our cruises are all full board and include breakfast, lunch and dinner, meals and snacks, poolside grills, deck barbecues and 24 hour buffets. Room service breakfast and afternoon tea are also included in the price of your holiday. Every evening we’ll set a place for you in our main dining room and when booking – depending on your ship and fare - you can chose to dine at a set time or one that will fit around your day to day plans. We call these two options club and freedom dining. Select Dining is our wonderfully flexible alternative dining where for a small charge you can enjoy restaurants by chef Marco Pierre White and TV’s wine expert Olly Smith. We’ve also developed a few of our own speciality experiences to whet your appetite. Club dining is a fixed seating plan operating on 2 sittings, either 1st sitting at 6.30pm or 2nd sitting at 8.30pm. We will reserve a table for you at the same time each evening with the same waiters and fellow diners for the duration of your cruise. This option will not be available on board Iona. Available on Arcadia, Aurora, Azura, Britannia, Iona, Oceana, Oriana and Ventura. This option gives you more flexibility as you are free to arrive for dinner any time between 6pm - 9.30pm. It may be that a table may not be free and you will be given a pager to advise when your table is ready. This will give you the opportunity to have a pre dinner drink before being called. Select Dining in a speciality restaurant gives you even more choice, many of which are inspired by Michelin-starred chefs such as Marco Pierre White. A Select Dining Cover charge applies in these restaurants. You may also find the question How much are the cover charges in the alternative restaurants? useful. There are also other dining areas which provide 24 hour service ranging from buffet food courts, pizzerias and daytime grills. In all instances, the cost of your meal is included in your fare. You can also take advantage of room service for light bites and/or full meals. 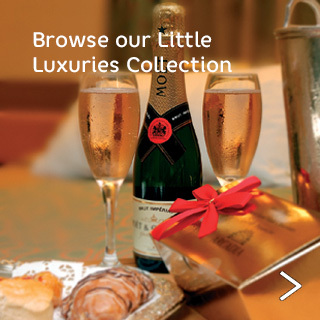 Room service is available 24 hours a day and most items incur a charge. A room service menu will be available to you in your cabin. Regardless of which option you choose, you are still welcome to use the Select Dining or buffet restaurants at any point during your cruise. What dining options does Britannia have? Can I pre book dining? What are the alternative dining venues on board? What size tables are available for dining? Do you offer alternative dining venues?